Katherine Pomerantz runs a virtual accounting firm and money mentor business for creative entrepreneurs. Pomerantz said that “it took a long time” to find the people that she fit with the most, to serve in her business. She’s passionate and driven, and certainly doesn’t take no for an answer. Katherine creates her own work! By efficiently dividing her day, Pomerantz tackles running a business while still enjoying a social life. 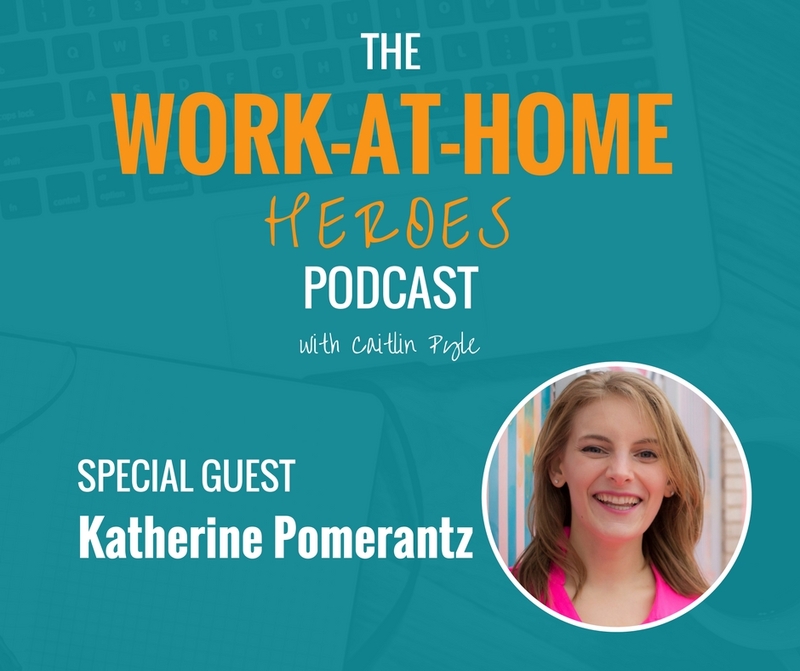 Read the transcript of The Work-at-Home Heroes podcast Episode 4 here. In this episode, Katherine mentions The Miracle Morning. Click the link to check it out! In this episode, Katherine mentions the All Up in Your Lady Business podcast. Click the link to check it out! Got a question for Katherine about this episode? Head over to the Work-At-Home Heroes Facebook page and ask on this dedicated thread! Heal your work life, build your business! I loved this episode. Katharine’s story has further inspired me to find my niche in the work-at-home world. (Caitlin had already inspired me, but Katharine took it up a notch.) Bookkeeping is very interesting to me, so I plan to follow Katharine. Immediately! Thanks for your podcasts, Caitlin. They are so uplifting to work-at-homers (especially beginners like me). Please, please keep them coming. ? Thanks for showcasing a bookkeeper/ accounting professional! I've been doing bookkeeping from home for a bit now and looking to take it to the next level. Her enthusiasm is contagious and she's got some great advice! Enjoyed the podcast..., and reinforces that helping others is what it is all about.